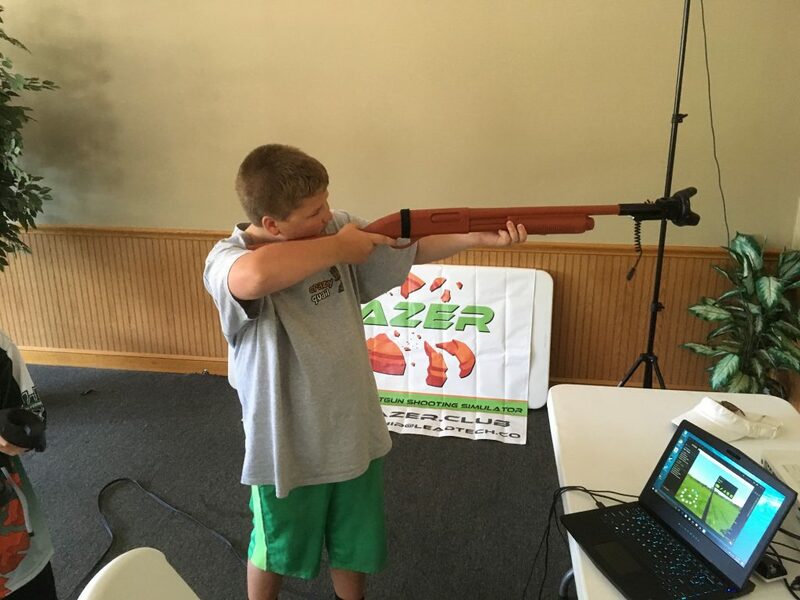 Red Gun (ASP) was kind enough to furnish us with a Red Gun replica Remington 870 shotgun and a Beretta 96M to serve as realistic platforms for our pre-production VR gun controller, shown below at the Scholastic Clay Nationals. Glitch was that the pressure switch sourced from BeamShot was a bit short and pulled away from the velcro on the receiver, which proved problematic for some of the two- handed shooters at the demo. 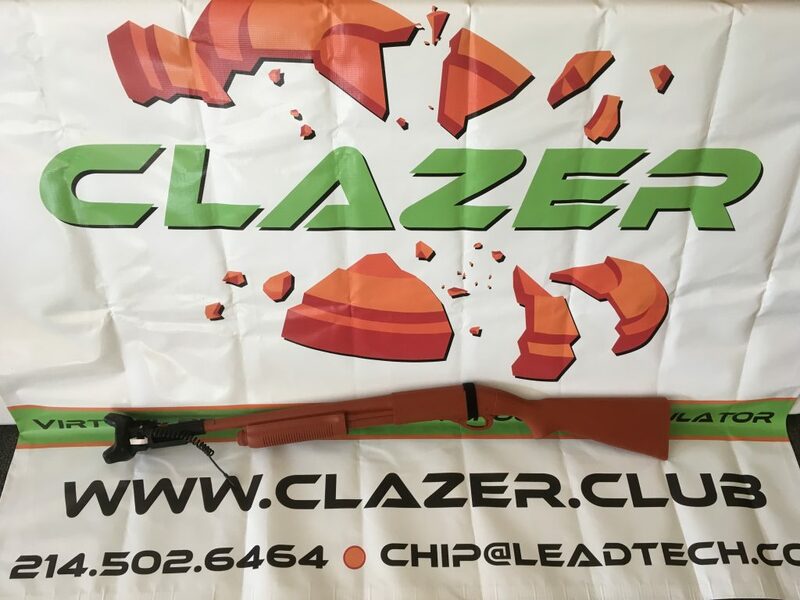 Glitches aside, CLAZER was a big hit among the coaches and competitors that demo’d it, and I am optimistic that it will become a popular way to recruit and train young clay shooters. The advantage of the Red Gun is it gives the player a realistic, properly weighted platform to play the game with. As long as the length of pull is about right, and the comb is right, it’s almost as good as playing CLAZER with your own gun – and a whole lot safer for people that have blinders on . . .
Will get a longer trigger tether next week.